Postcard announcing the schedule of gallery exhibitions between October 7, 2002-May 8, 2003. Booklet featuring the architectural designs of Steven P. Papadatos, A.I.A. 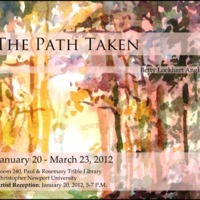 Post card announcing Art exhibit & Artist Reception. Postcard announcing Exhibit & Gallery Talk by Edward Welch. Announcement of art exhibit by Japanese Wilderness Photographer Tomohiro Uemura. 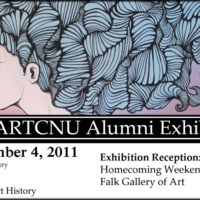 Announcement of an alumni art exhibition for Homecoming weekend.